The people who love, live and work at The Ranch are unique, but the careers and seasonal jobs we offer also follow suit. We are featuring some of those jobs that may sound unconventional, but are essential in keeping our 6,600 acres working as an experiential travel destination and working cattle ranch. 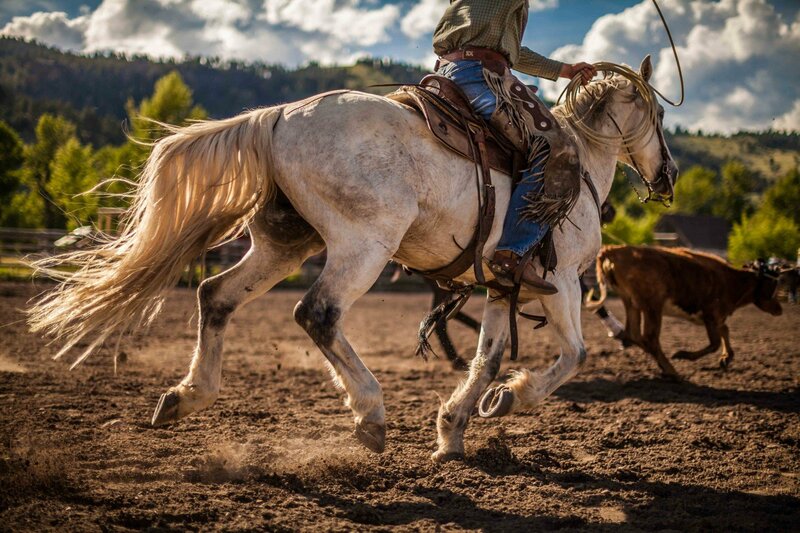 Rooted in Montana’s tradition of homestead hospitality, Ranch Ambassadors go above and beyond the traditional luxury concierge post to provide detailed planning services from the moment a guest makes a reservation to the moment he or she departs. This position is unique to The Ranch due to the fact that we aren’t a traditional luxury hotel in many respects. For a start, each of our 29 accommodations is unique — from luxury homes of different sizes, to a converted Historic Barn to glamping cabins and Granite Lodge suites. Most first-time guests choose to speak to an Ambassador about their options before booking to utilize their expertise and hand-pick their accommodation. 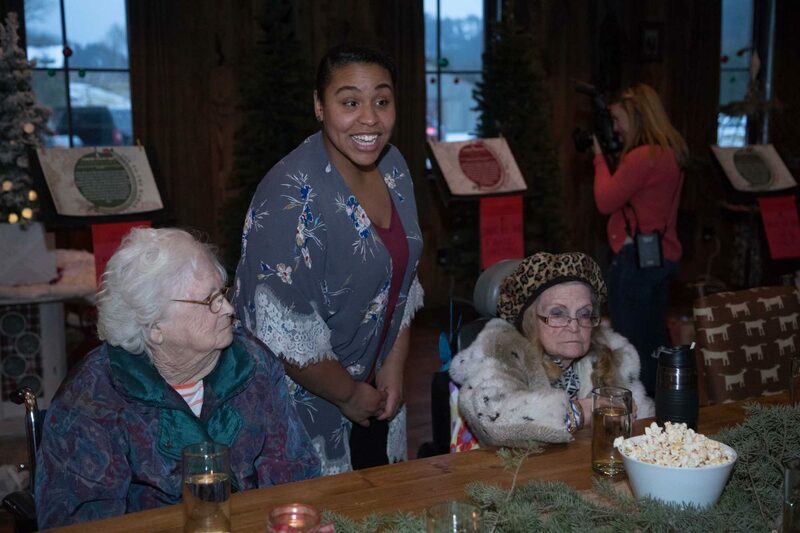 Ranch Ambassador Kendra Foster helped procure cocoa (a special request) for the Granite County Medical Center long-term care residents during the recent Festival of Trees. After a guest books a stay, they are invited to see the seasonal offerings and choose from a list of up to two-dozen available activities that are included in their stay. It’s the Ranch Ambassador’s job to build a bespoke itinerary for each guest — looking to create a bucket list trip for each person who passes through our arches. Ranch Ambassadors are detail oriented and extremely knowledgeable about the season, the weather, travel times, dietary restrictions, weekly events and personal preferences as they craft itineraries for travelers across the generations. There’s a special soul who thrives in this role — that person who scours guidebooks, researches local hot spots and tries their hardest to create an ideal itinerary each time they book a vacation. 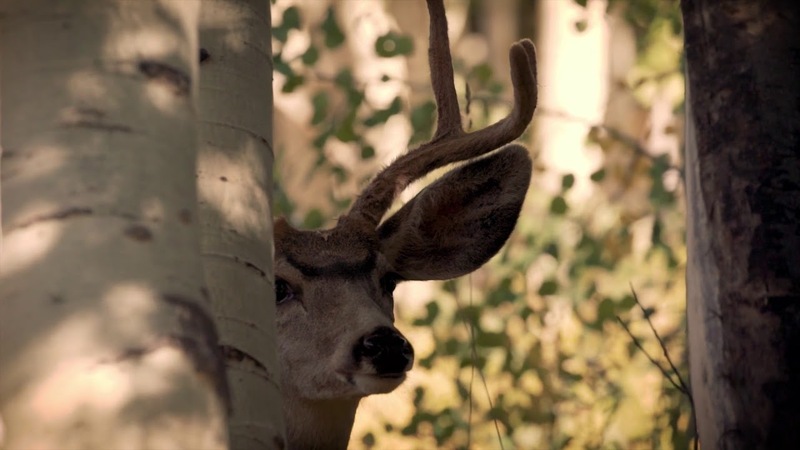 Our Ranch Ambassadors do this day after day so our guests don’t have to. Ranch Ambassadors also work closely with our Reservations Experts who ensure our guests are guided into the perfect accommodation for their stay. Once the best accommodation for a guest has been procured, the Reservations Expert will connect the guest to a Ranch Ambassador who will customize a personalized itinerary for the guest’s stay. 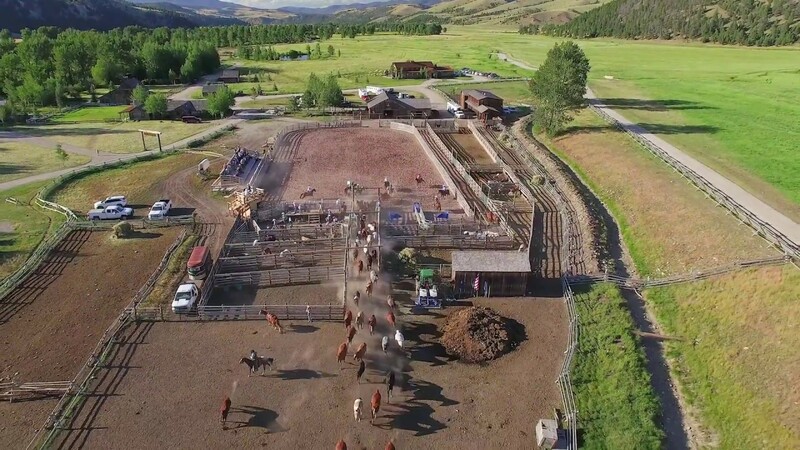 Anyone who loves equestrian vacations won’t be surprised by this listing, but what makes this job exceptional is that we advise, “rodeo experience preferred.” The Ranch is one of very few guest or dude ranches to offer weekly summer ranch rodeos. The athletes who rope, barrel race and ride rough stock in these rodeos are sourced from the barn staff and the local area. Our Ranch Manager’s family even competes week after week. A wrangler rounds a barrel during a weekly summer rodeo. It’s not a stretch to say that our wranglers are probably photographed just as much as the sunsets, wildlife and horses. There is something incredibly inspiring about visiting a historic ranch homestead and witnessing true horsemanship. Our wranglers also need to be able to teach horsemanship to our guests because they lead trail rides nearly every day of the year and provide one-on-one instruction. The Ranch’s 6,600 acres provides plenty of space to explore. For guests interested in improving further, wranglers teach arena lessons, pole bending and barrel racing. Some return and equestrian guests even ride in our rodeos. 2017 was an exciting year for our sustainability and nature immersion programs. Our nature spa expanded its wild-inspired treatments, we began offering Montana Master Naturalist classes and we expanded our curriculum of natural play in the Little Grizzlies Kids Club program. Our Lead Little Grizzlies Kids Club Coordinator Kelsey Bruns brought 15 years of conservation and outdoor education experience to her post. Now, we’re looking for guides who want to inspire future adventurers, conservationists and nature lovers. Building activities in the spirit of natural play allows kids aged four to 12 to respect the environment and see it as their playground. Separate from our babysitting offerings, the Little Grizzlies Kids Club guides make this program one of the reasons we have won accolades like Best Family Getaway from AFAR Traveler’s Choice Awards and Most Fun for the Whole Family from American Express Fine Hotels & Resorts. In 2018, we won the “Best Family Program” award from Virtuoso Travel – a group of elite travel agents. Lead Little Grizzlies Coordinator & Beekeeper Kelsey Bruns. Kelsey is an excellent example of a Rancher who wears many hats. In addition to her lead role in the Little Grizzlies, she’s a Montana Master Naturalist, a narrative photography instructor and The Ranch’s beekeeper. Our new resident bees were in good hands with Kelsey, a former professional apiarist. We’re feeling the buzz of our first honey harvest, which yielded 10 gallons for our food and beverage team. Read about “The Sweet Life of Bees” in a special blog written by Kelsey. Most Ranchers help out other departments over the course of their tenure. This might include a manager taking groups on a guided nature trek, an employee helping with a community outreach effort, like the Granite County Festival of Trees or a Rancher moving into a new position, like Ranch Ambassador, when they’ve learned the inner-workings of The Ranch. We still thrive on the pioneer spirit — keeping this place a well-oiled machine means relying on your neighbors. In addition to our herd of 75 horses, our activities department includes a fleet of 300 bicycles. Our bike wranglers oversee the maintenance and transportation of these bikes throughout the season. Most bike wranglers are equal parts thrill-seeker and hard-working self-starter. They arrive with years of experience on the trail in all seasons and the mechanical experience to ensure all equipment is in top shape for our single-track courses. 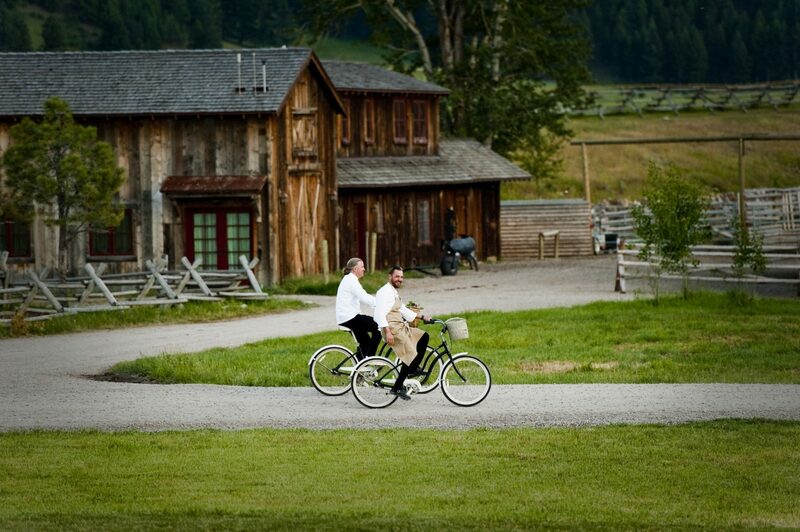 In addition, each person who stays at The Ranch during the spring, summer and fall gets a cruiser or mountain bike to use on property. Walking and biking are the preferred methods of transportation, reducing the number of vehicles on property to a minimum. While this type of wrangler doesn’t compete in a rodeo, like the one described in our first listing, they do choose bikes specially for each guest and deliver them to their accommodation. If a bike doesn’t find its way home during the course of a guests’ adventures, our bike wranglers bring them back to their hitching post in time for the next day’s activities. When we added fat biking in 2016, our bike wranglers helped us to offer mountain biking year-round. 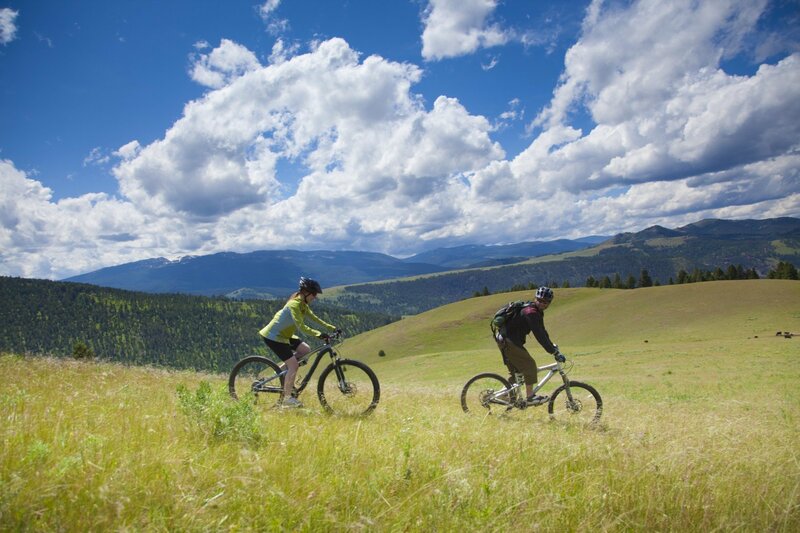 They help keep our trails in order and share this well loved Western Montana pursuit with people from around the world. For those who would prefer to spend nearly all of their waking hours outdoors, The Ranch has several perfect jobs: Activities Guide, Ropes Course Guide, and Fly Fishing Guide. 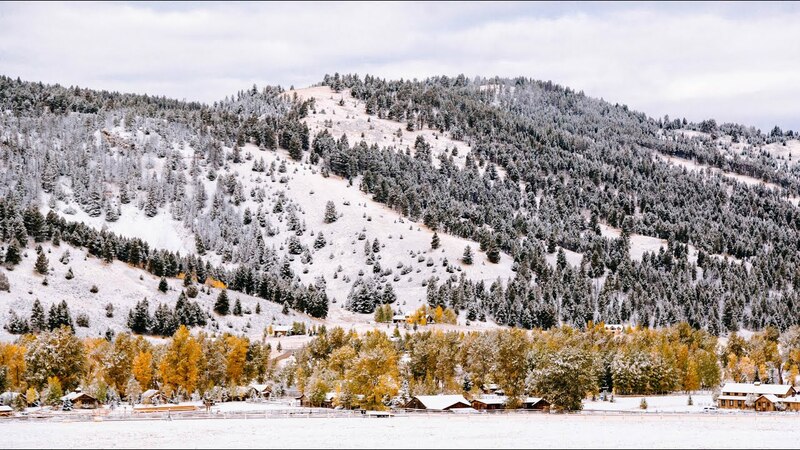 Modern day adventurers who enjoy mastering their favorite pastimes and exploring new stretches of the “last best place”— as Montana is often called — find their niche here. Expert Fly Fishing Guide John Piacquadio teaches fly tying at The Ranch, and he also channels his art into Sumi ink painting when he’s not angling. Photo by Shea Shaughnessy. Case in point is expert Fly Fishing Guide John Piacquadio. It wasn’t long ago John Piacquadio was a mental health therapist in New York. Meanwhile, in his private life, he had developed an obsession with fly fishing. Before long, he and his wife Karen looked for employment in a mountain town where they could work with their passions. 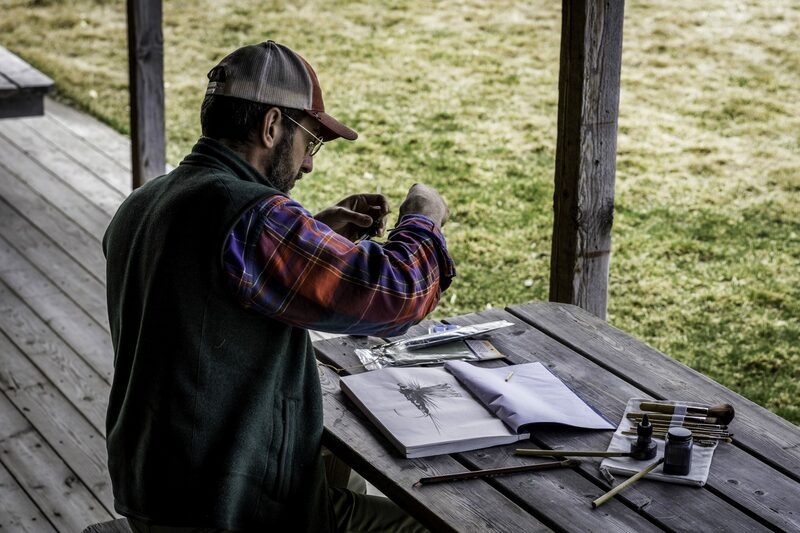 John serves as a guide, a fly tying instructor, and an artist in our Mercantile. In 2018, he also led a special Paint & Sip, during our Whiskey & Water Weekend. This beautiful landscape serves as a perfect muse for creative minds. The Ranch at Rock Creek is currently recruiting for year-round jobs like Accountant, Guest Services Agent and Massage Therapist, as well as seasonal jobs for summer 2019. See the full list and read about joining our Relais & Châteaux team.